QuickScanJr allows news monitors to easily employ or contract with work-from-home personnel. It is the most proliferated application in the QuickScan family! 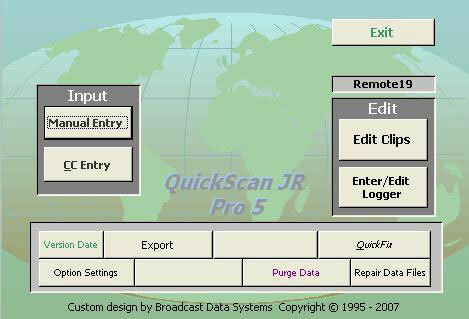 QuickScanJr allows for the logging and reconciling of news broadcasts from remote locations. This makes it easy for news monitors to employ independent contractors and at-home workers. The remote logging work is easily and automatically transferred to the main office for integration into the main QuickScan database. It may also be simultaneously transferred to inewsnetwork and NDS.